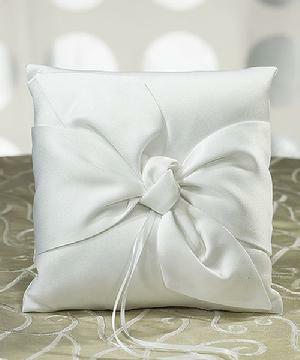 5011-08 - The sensational oversized bow on this Ring Pillow is undeniably charming. Its modern, simplistic style makes it an ideal accessory for any wedding ceremony. 20cm x 20cm. Available in white (discontinued) or ivory.